It goes without saying that it costs more to train new personnel than to maintain productive employees. In order to preserve an effective workforce, training and coaching needs to become an integral part of a business. In fact, The American Society for Training and Development generally recommends a minimum of at least 40 hours of some form of training for each employee every year. Below are some of the reasons why having a training and development program in place so heavily influences securing an effective workforce. There are many types of training programs that businesses can regularly use to ensure that their staff is up to speed on company work policies, production methods and other important corporate level strategies. For instance, training might involve everything from orientation to learning about more specific and unique business processes. Business coaching is usually a slightly more intimate process in that it addresses more specific situations. For example, a sales team or marketing division may have a sales coach teach them communication skills, while an executive coaching program may focus upon leadership. Coaching also emphasizes the employee’s place in the company by affording them the opportunity to develop and grow their skills. An added bonus, employees are able to enhance their careers and are better poised to rise within the company. This makes staff even more valuable to the company. The chance to experience ongoing development has always been one of the top influences that employees desire to see at work. In fact, the lack of ongoing training or coaching programs is so important to employees that they regularly cite their inability to see any potential for career growth or progress as a reason to leave an employer. The more informed employees are, the more productive they can be. Employees who are not properly trained can flounder and fail to manage their jobs effectively due to their lack of knowledge. This can easily lead to job dissatisfaction both for staff and management. To avoid this, business coaches can be used to easily train staff and help them become more productive overall. This, in turn, leads to more satisfaction, revenue, and greater overall success for everyone involved. 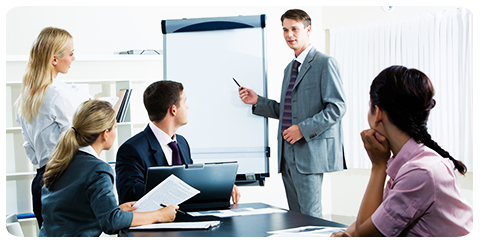 According to various work related studies, the existence of a company’s training and development program has always been rated highly by employees, second only to reporting to managers with whom they work well. Aside from obvious reasons, supervisors and managers who ensure that their staff is trained effectively will always have an advantage over those who do not. Businesses from all industries and of all sizes have learned how valuable employee training, coaching and development can be. When done at the outset and continued throughout an employee's career at the company, coaching programs provide a significant payoff for employers with increased knowledge, productivity, contribution and loyalty. These are just some of the reasons why employee training and coaching programs are such an integral part of any successful workforce retention strategy for businesses. Just like capital, employees are also company assets. As such, by learning about the best approaches to guarantee successful employee training, businesses can get the highest return on their investment. In today's challenging economy, companies need to use every advantage available to them in order to get and stay competitive.